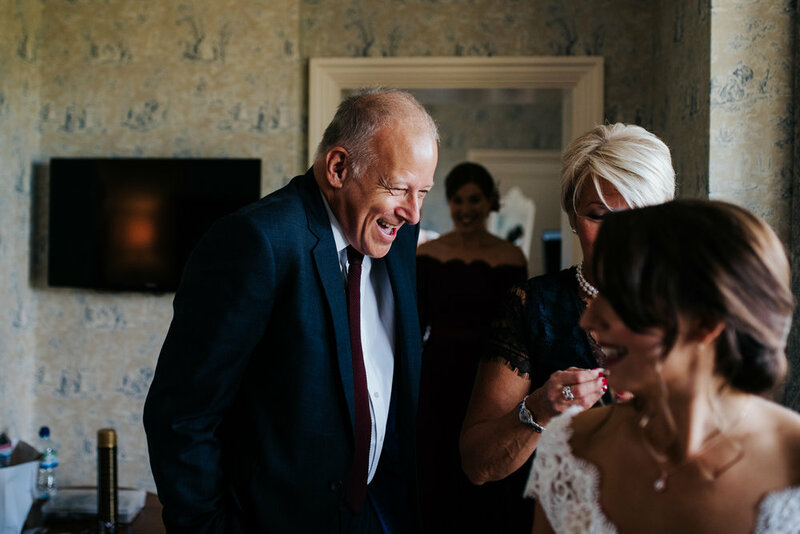 Not only is Michael lovely to have around but his photos are just beautiful - although this did make for a very tricky time deciding which ones to print and have in our album! 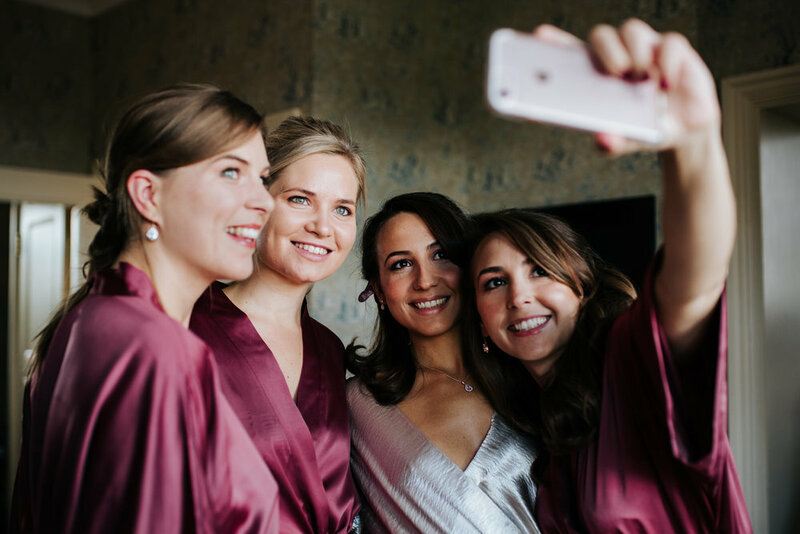 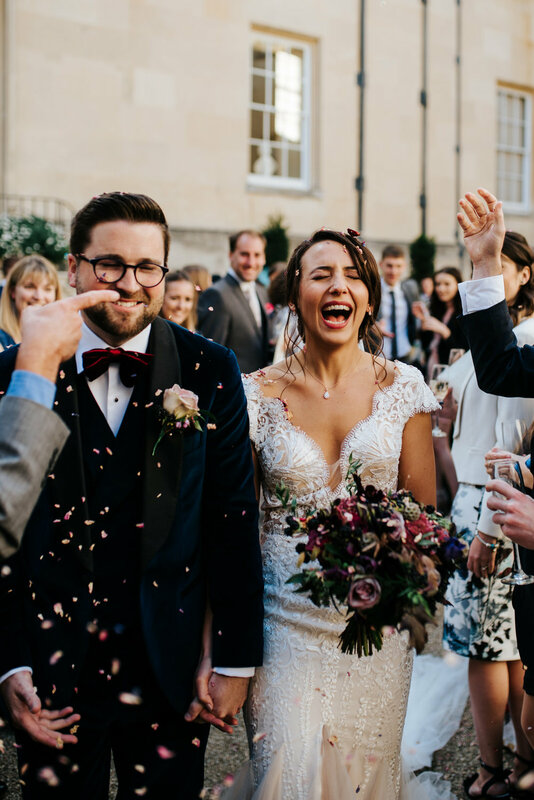 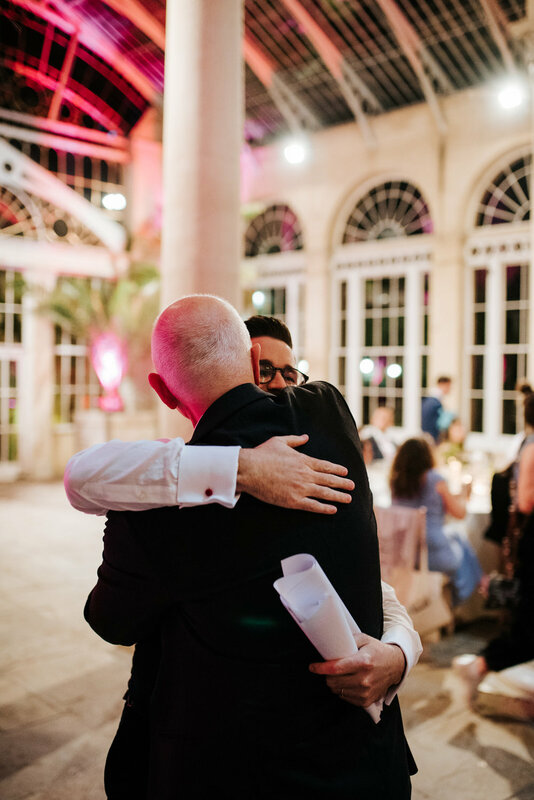 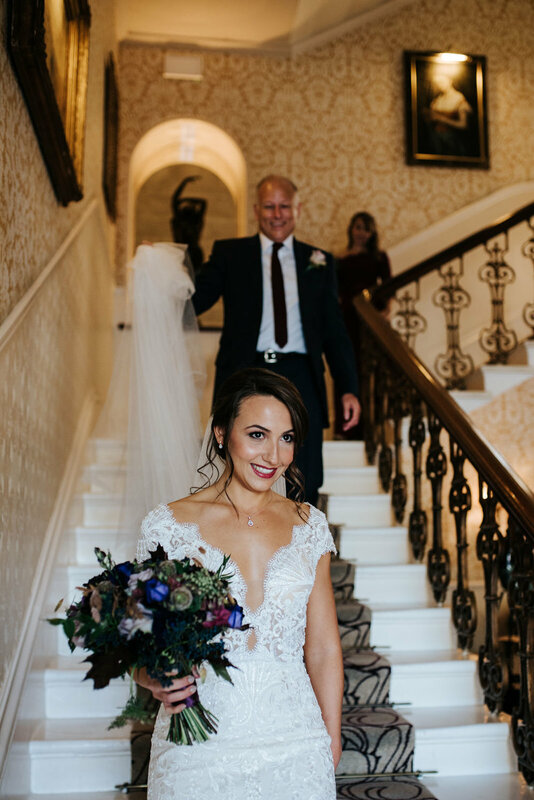 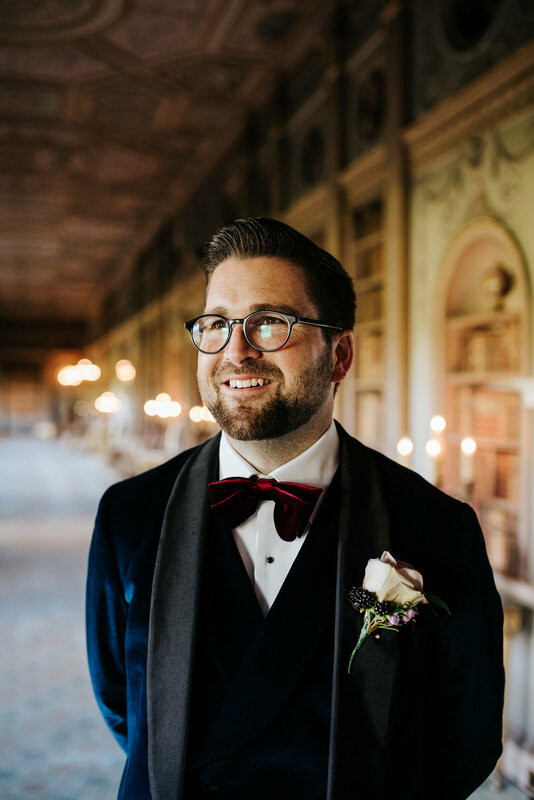 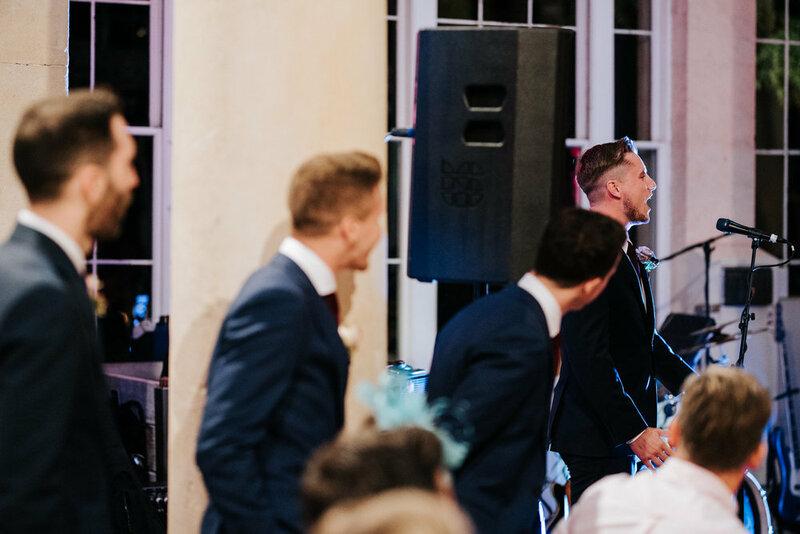 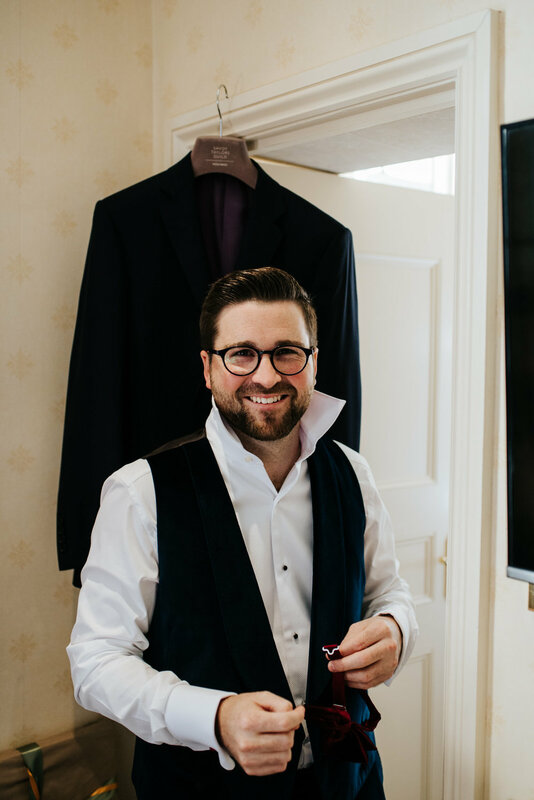 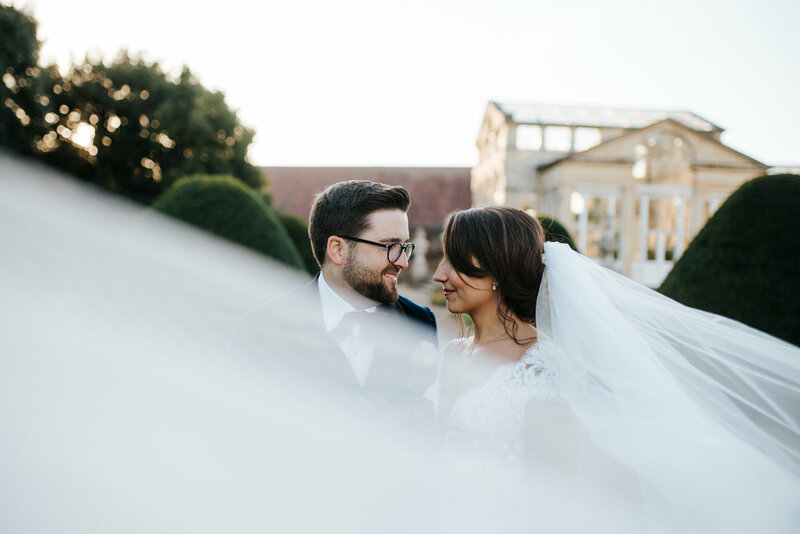 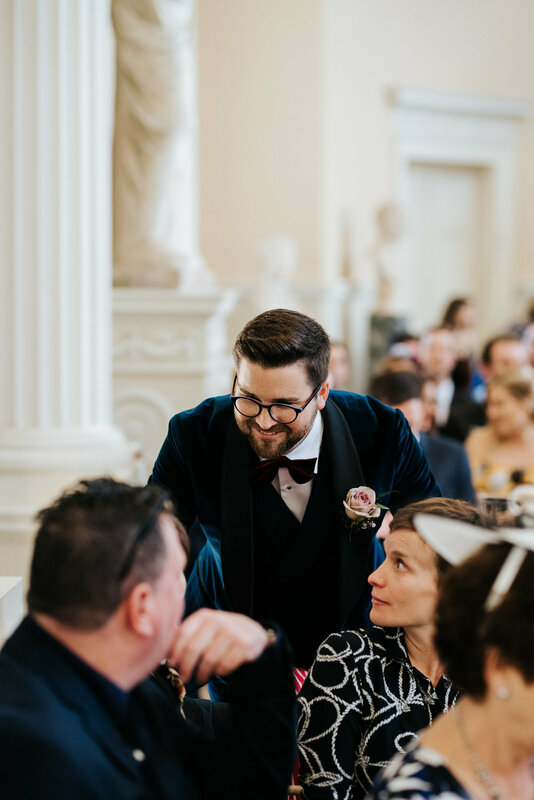 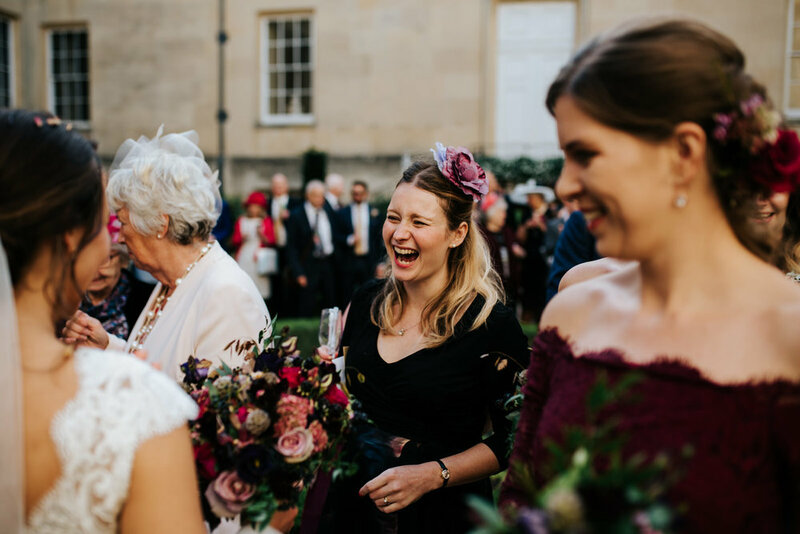 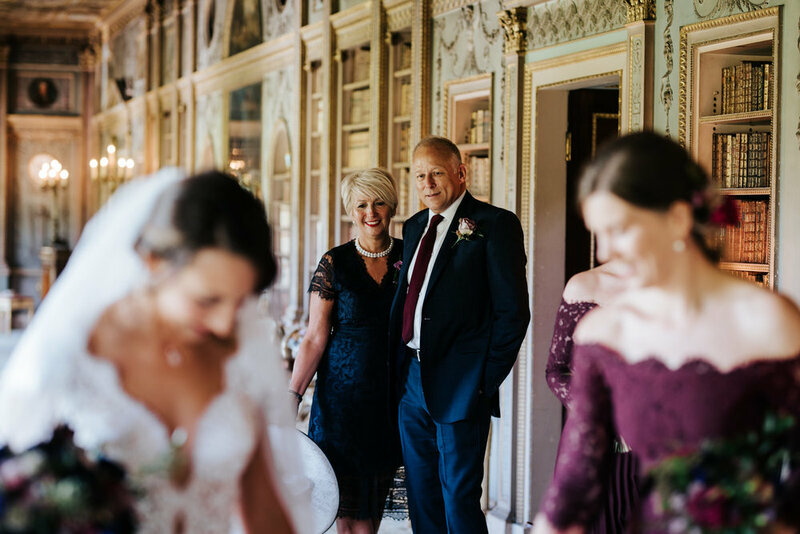 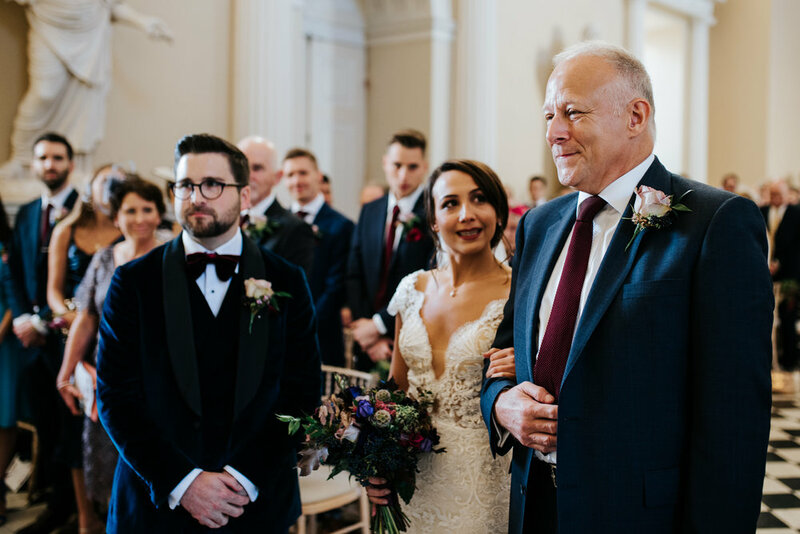 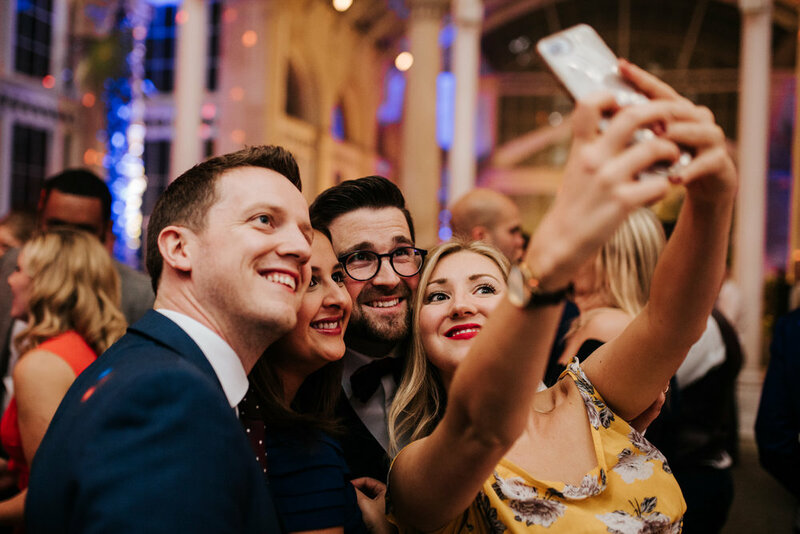 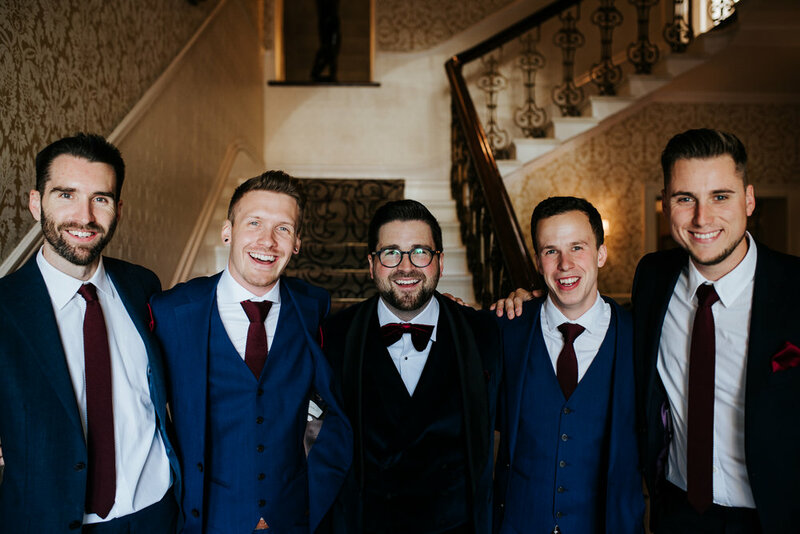 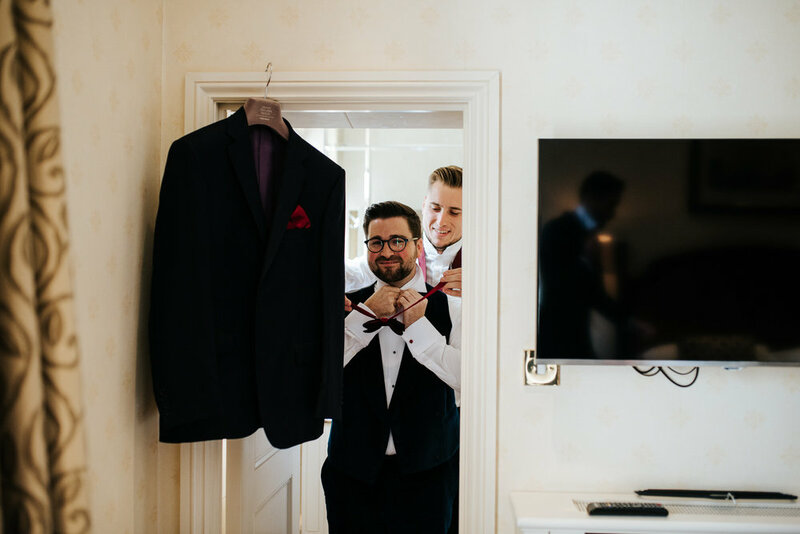 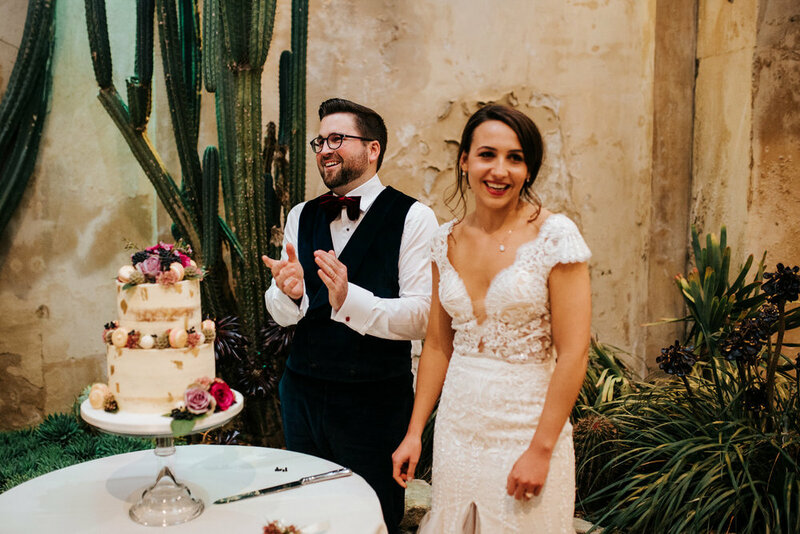 We also had a videographer who Michael had never met until our wedding day and he worked alongside her so professionally - lots of our guests thought they were business partners as they worked so well together! 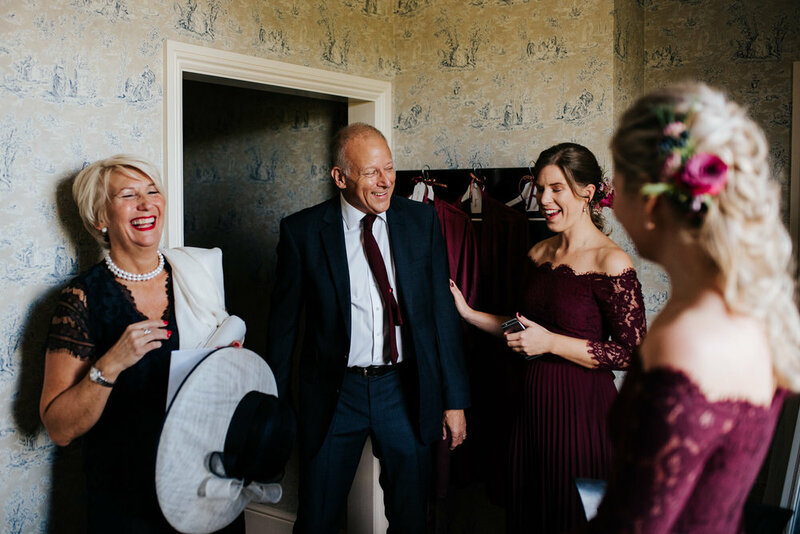 As much as I love traveling all over England for weddings, there’s a certain pride and joy that comes with photographing at venues that are down the road from where I live. 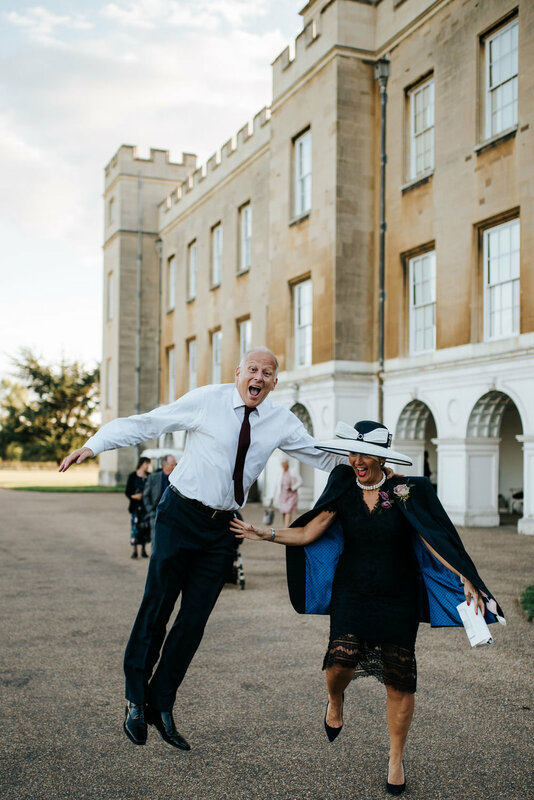 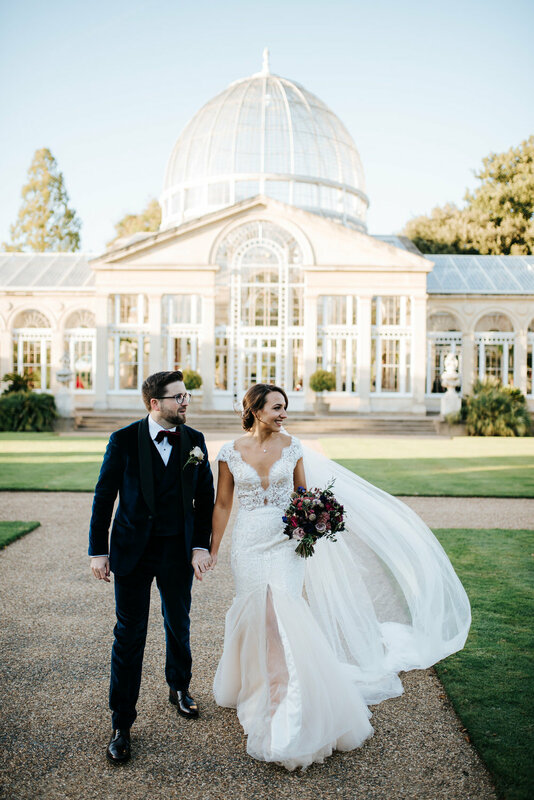 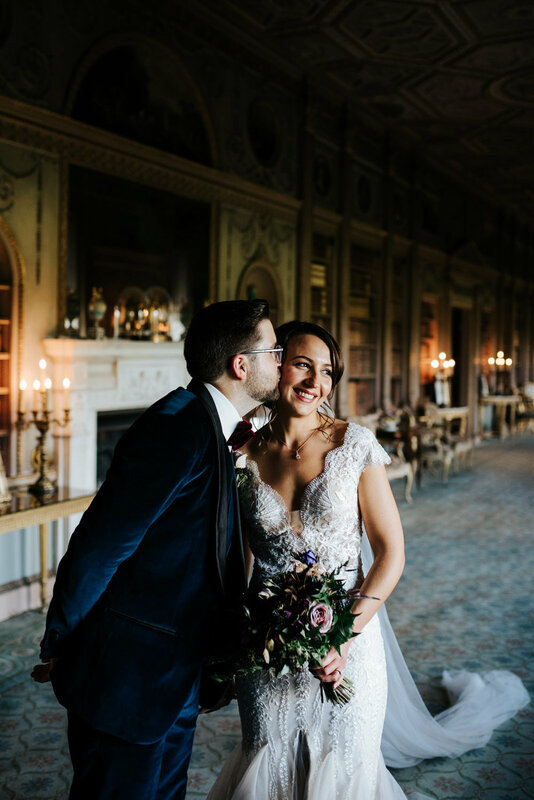 Syon Park has become one of my favourite wedding venues in London, and fate had it that I’d photograph four weddings there in 2018. 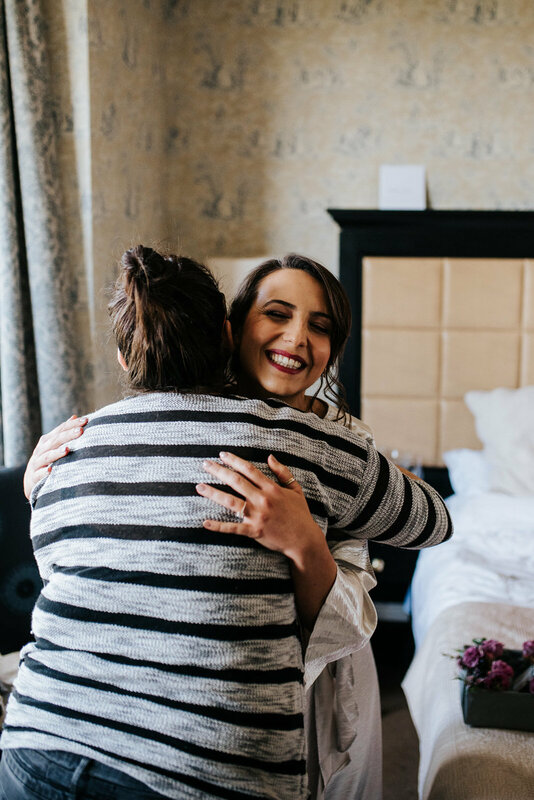 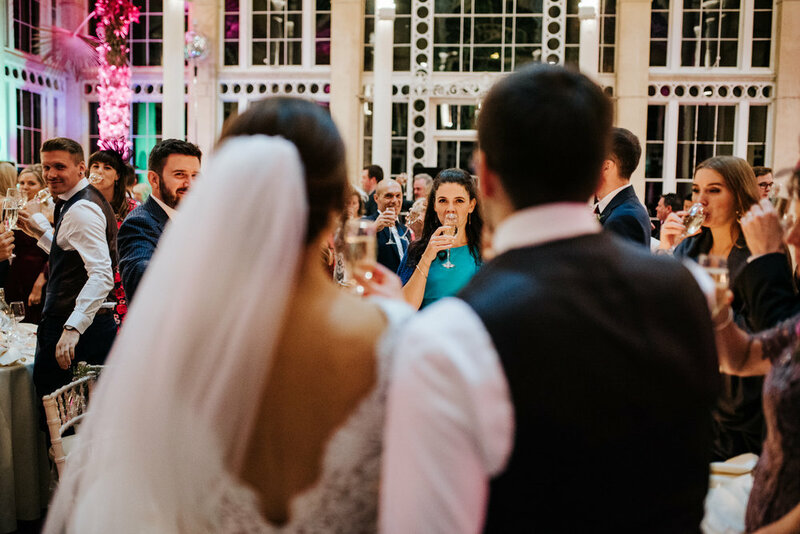 It’s an absolutely breathtaking place, and it’s the perfect balance between grand and intimate —a 50-person wedding feels just as personal as a 150-person one. 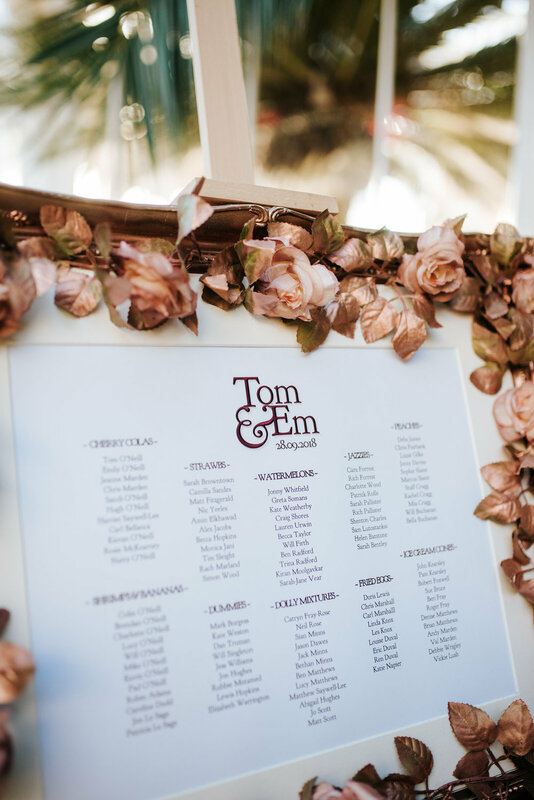 I was thrilled when Emily & Tom reached out to me. 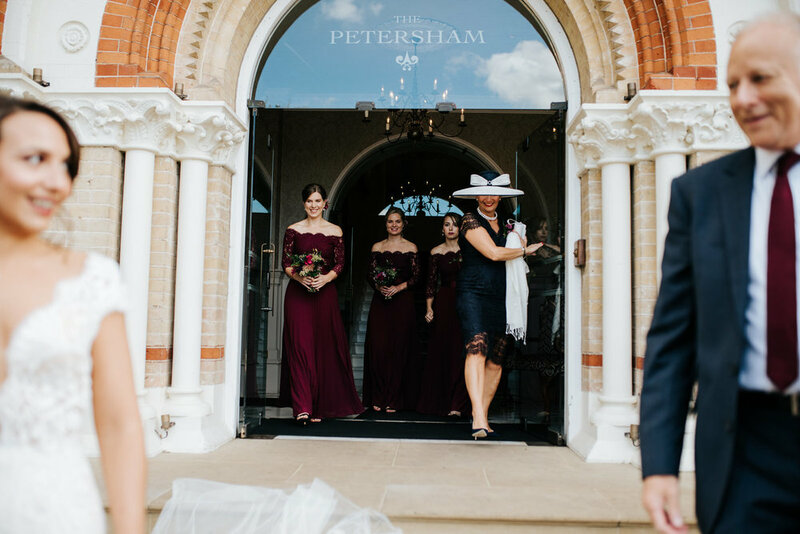 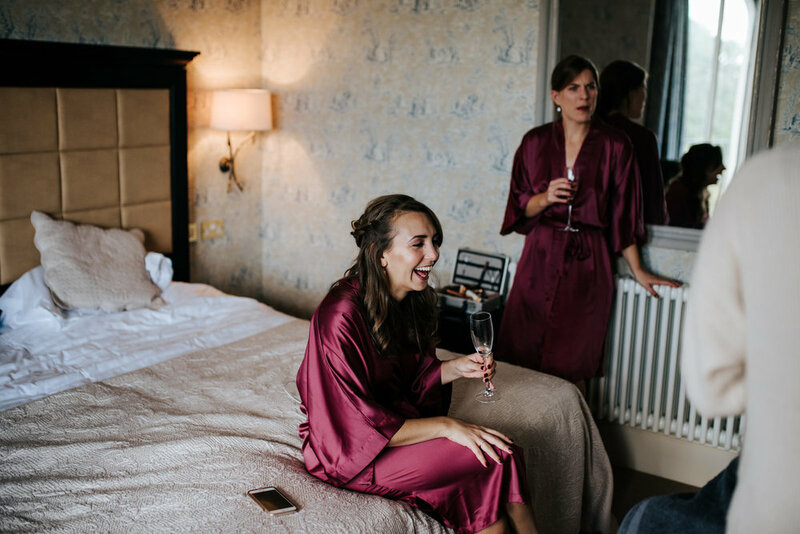 They both got ready at The Petersham on Richmond Hill, with stunning views of the Thames. 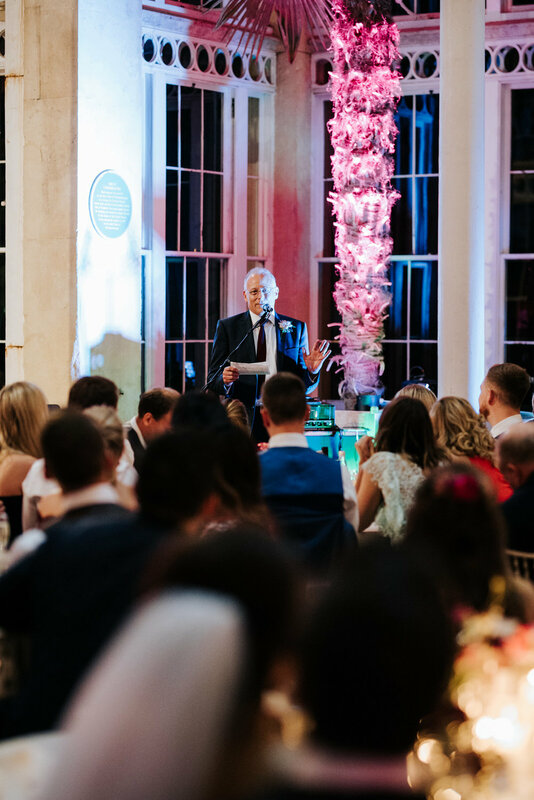 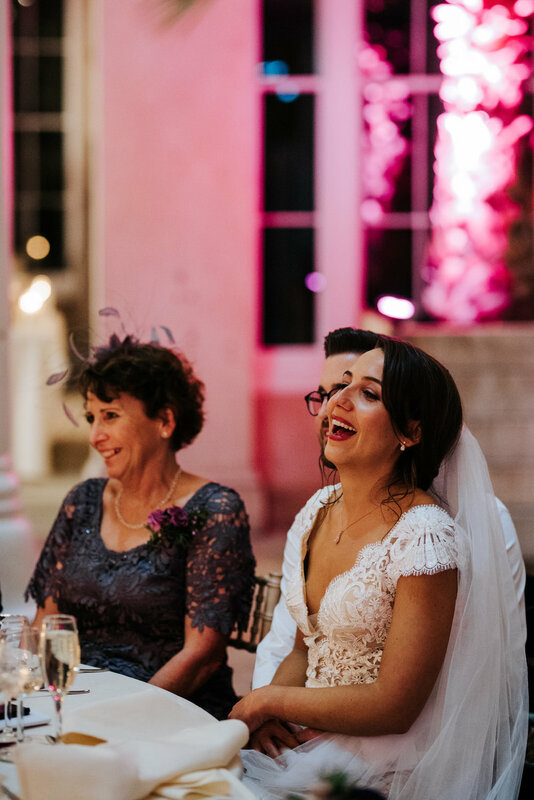 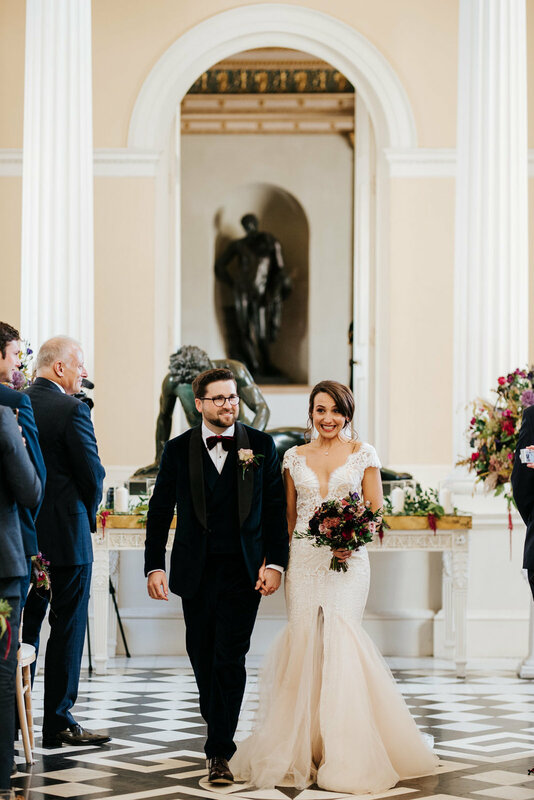 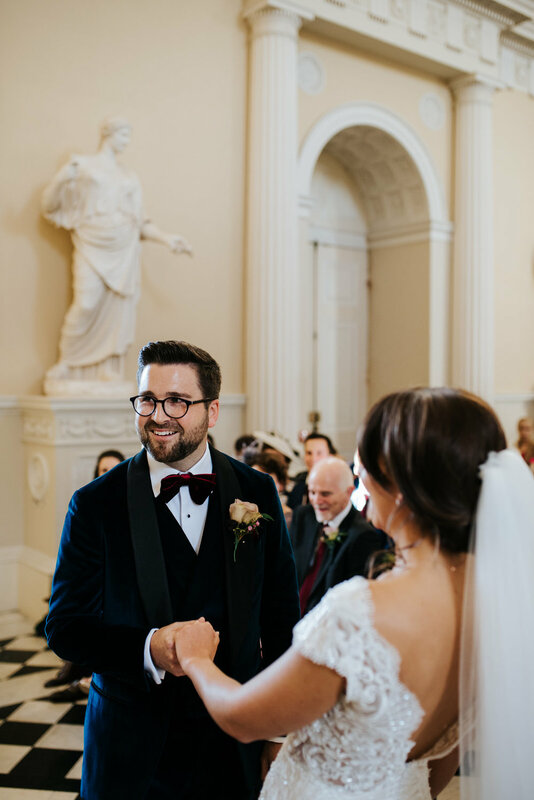 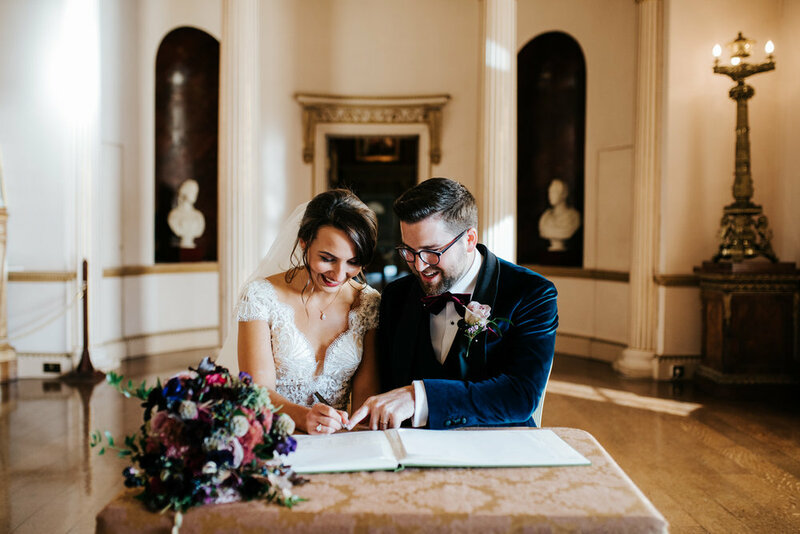 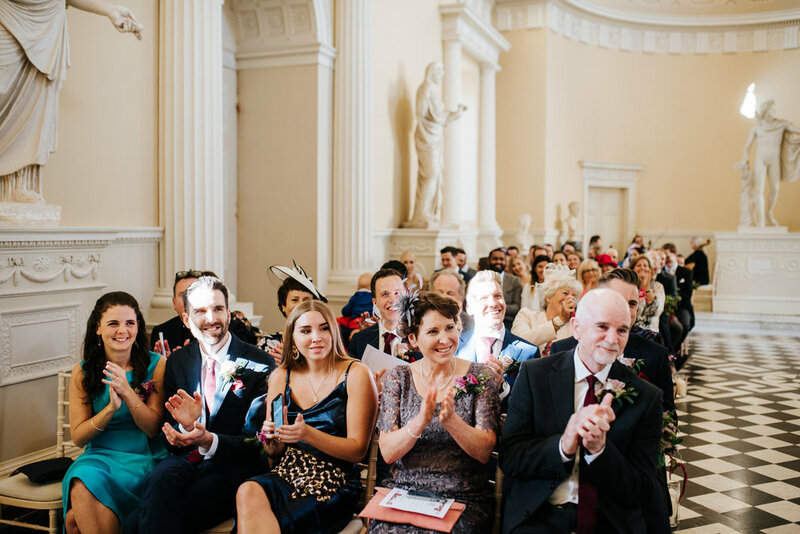 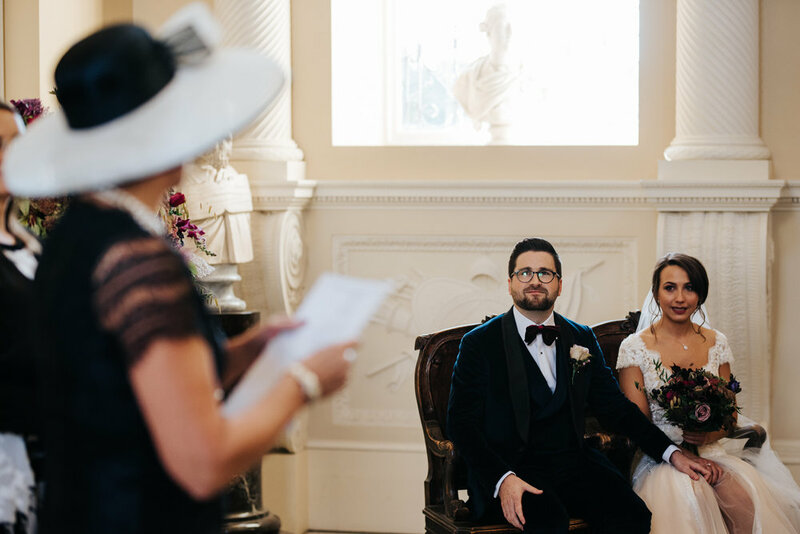 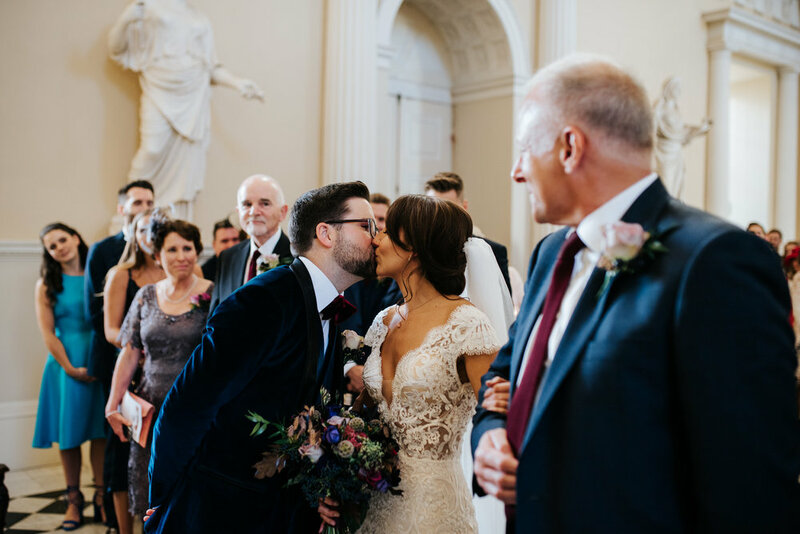 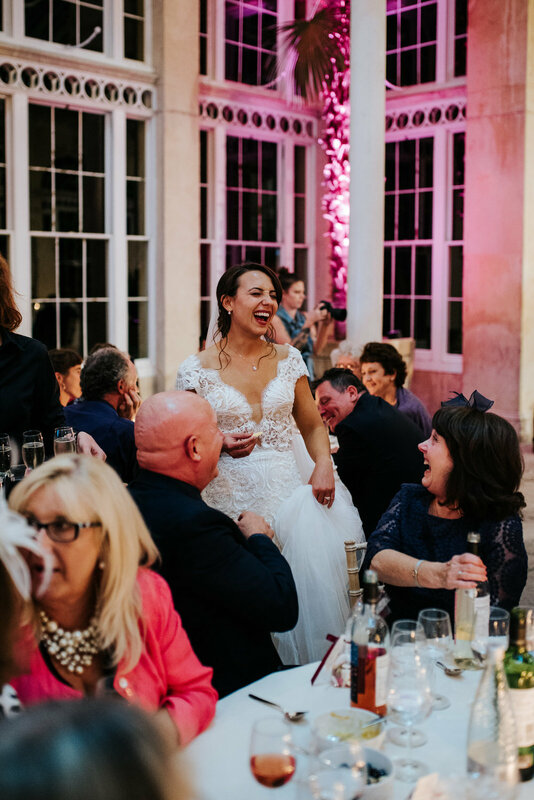 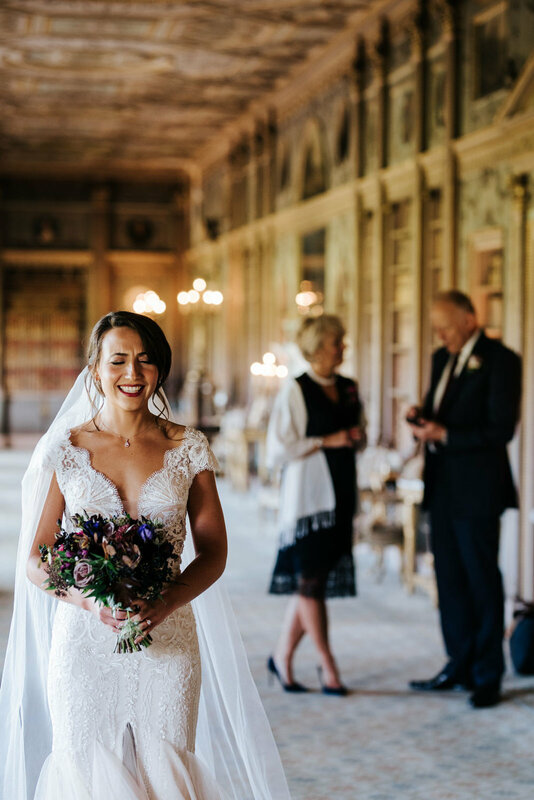 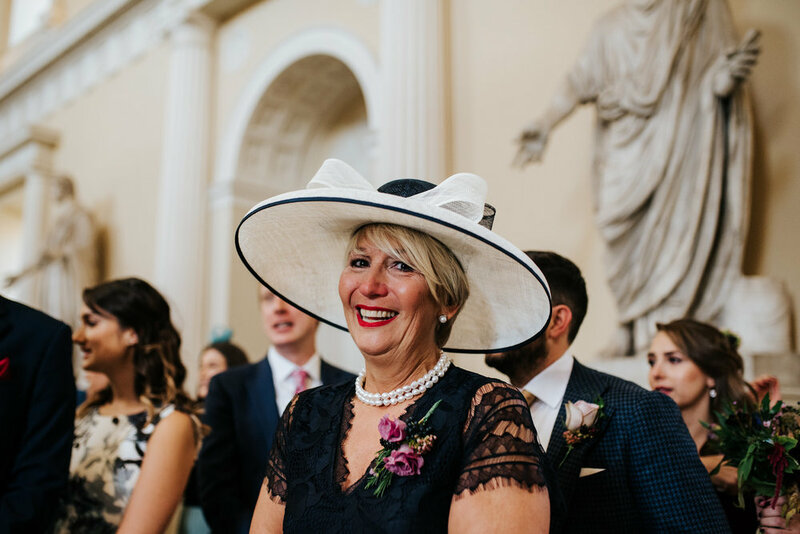 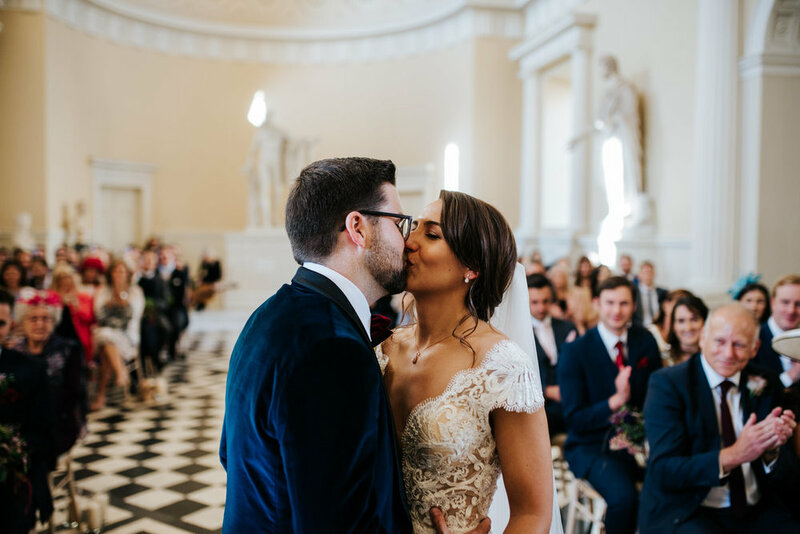 Their ceremony took place in Syon House’s great hall, flanked by striking arches and marble statues. 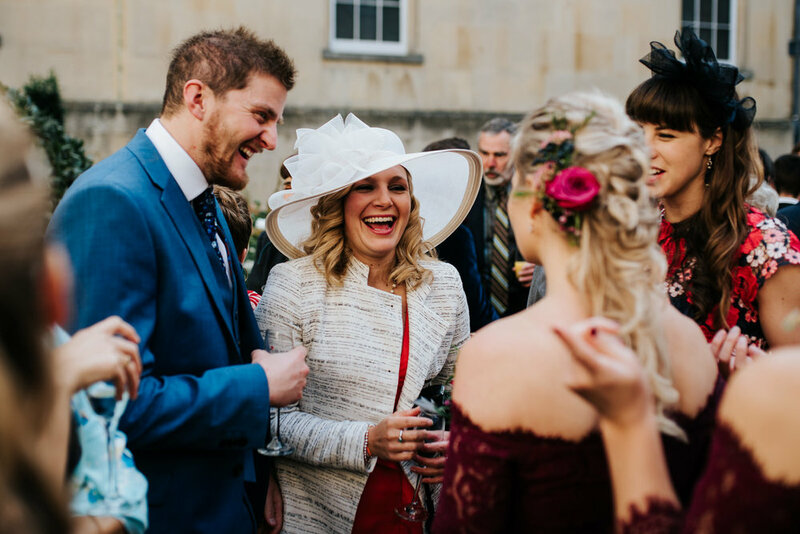 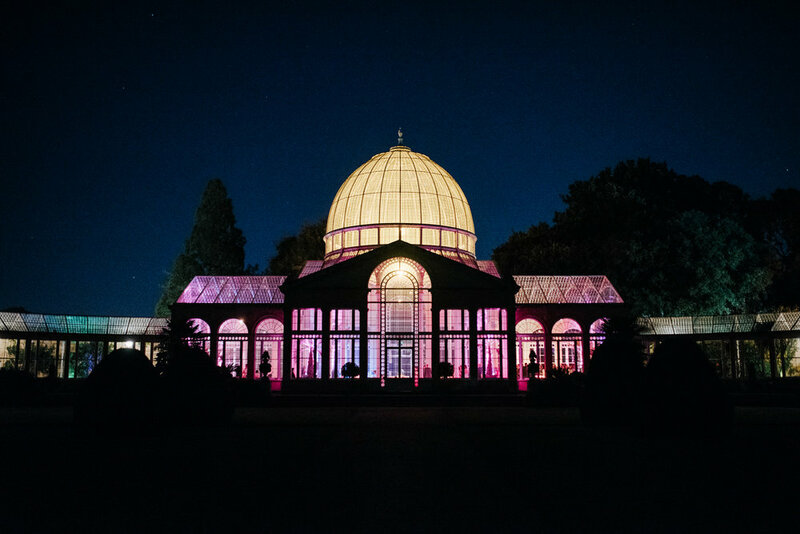 After a drink’s reception in the inner courtyard, all the guests slowly made their way down to my favourite place on the grounds — the great conservatory — for the wedding breakfast and party. 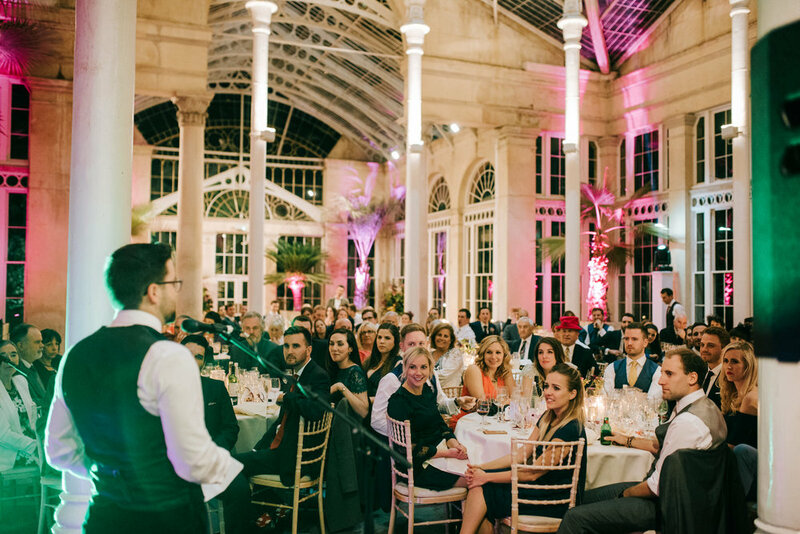 I love what I do, and I love it even more when I get to work alongside a team as brilliant as the one at Syon Park. 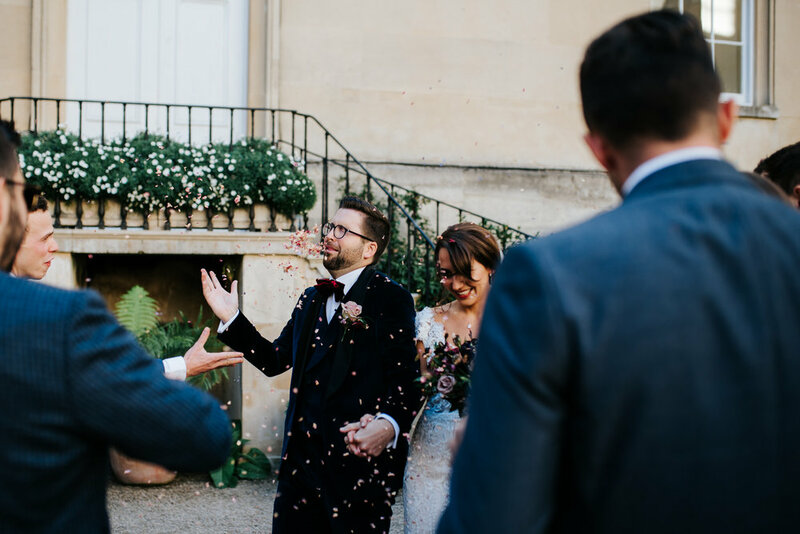 Here are some of my favourite photos of the day.